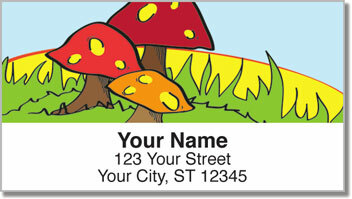 These whimsical return address labels take you into a storybook world where pint-sized critters make their home. The colorful toadstools featured on this charmingly quirky design could be found in an imaginative world full of mushroom-hunting young hobbits, and spritely pixies. Mushrooms really are an amazing living thing. Scientists think that there are more than 140,000 species, but only about 10% have been identified! Many of them are just as colorful as the illustrations on these labels. 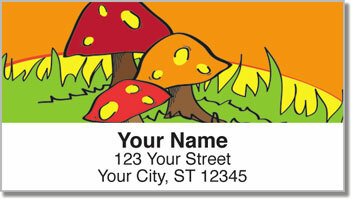 Woodland Toadstool Address Labels from CheckAdvantage are a practical time-saver. 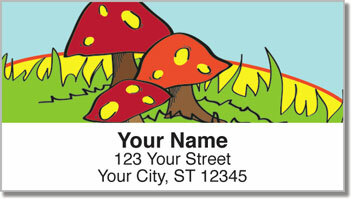 You'll eliminate the need to write your name and address by hand as you simply peel and place them on every envelope! 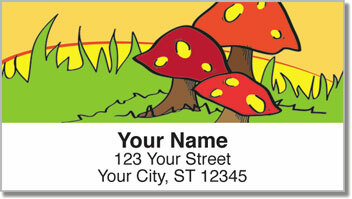 Make Woodland Toadstool Address Labels yours right now! Complete your order with matching checks!